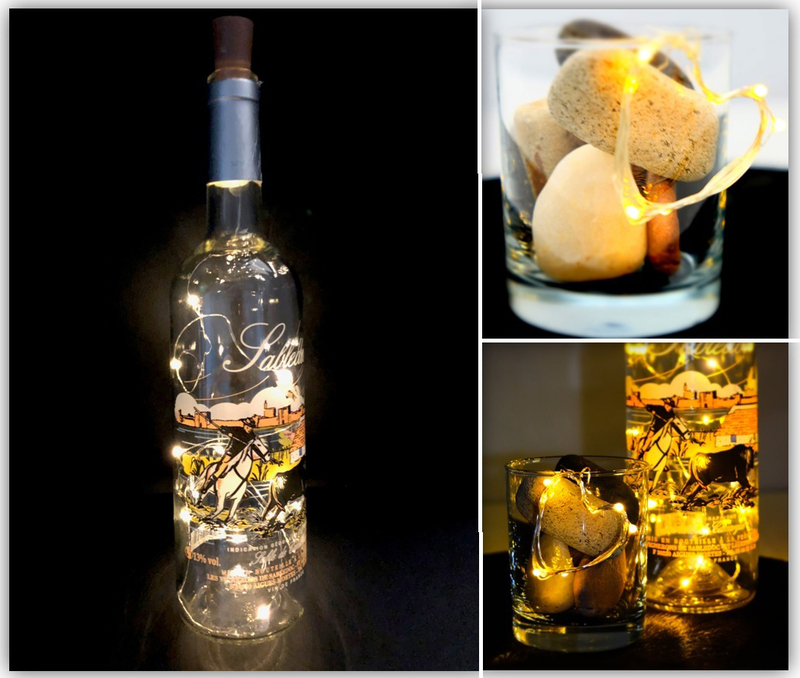 One of the prettiest decoration ideas: Use this light strig to transform your old (wine) bottles in beautiful home accessoires. Changes your home in a comfy place with atmospheric light - in every season! Due to the LED lights this decoration is power saving. 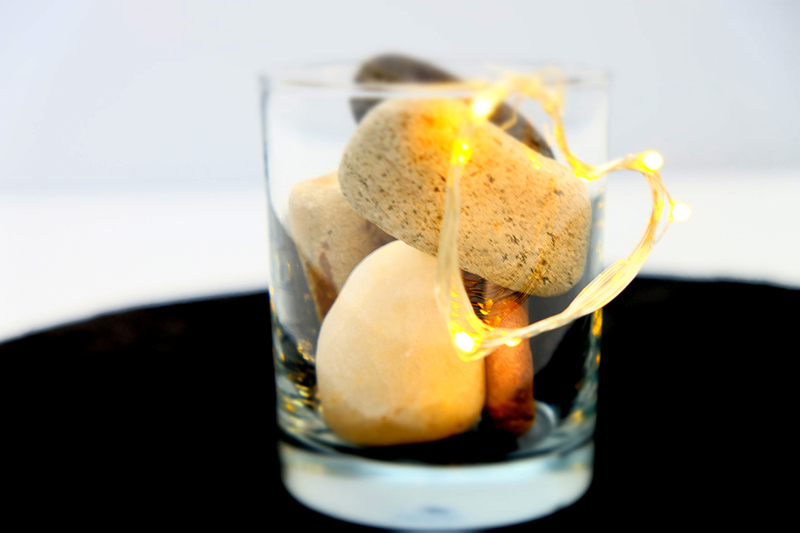 Cork with light string, silver plated copper wire with each 10 LED lamps, high value 'super bright' LED lights. On/Off switch, warm and white light, length of the string 74cm. 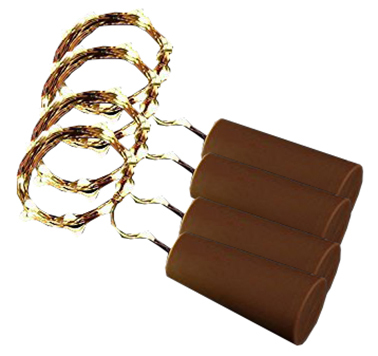 Content: 4 items.